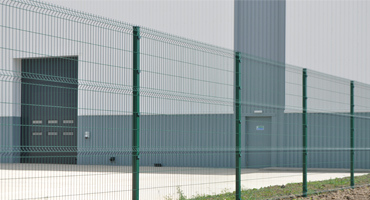 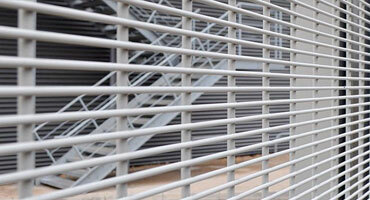 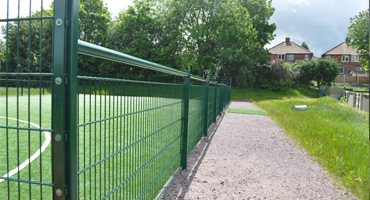 Our Sports Rebound Weldmesh Fence system has been specifically designed for use around multi-use ball game areas. 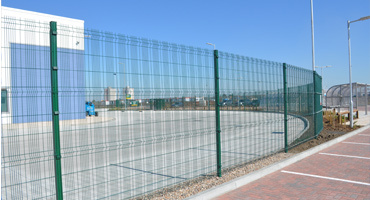 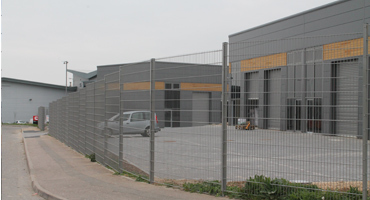 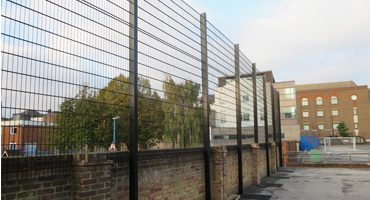 The standard panel is 2.0m high with the lower 1200mm section of the panel having a closer wire pattern (66.6 x 50mm) and the remaining 800mm above being 200 x 50mm. 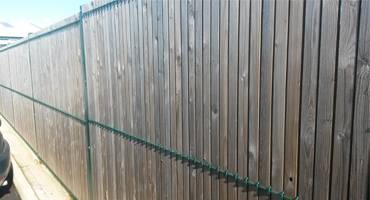 This gives the panel its higher strength and rebound properties, helping the ball to rebound back into the court. 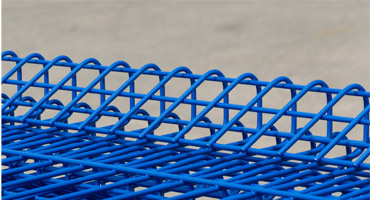 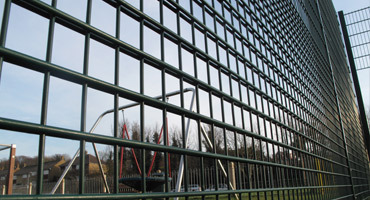 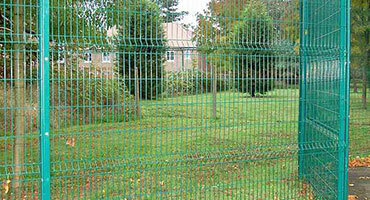 Our Sports Rebound Weldmesh is recommended to protect all types of sports and playground areas.